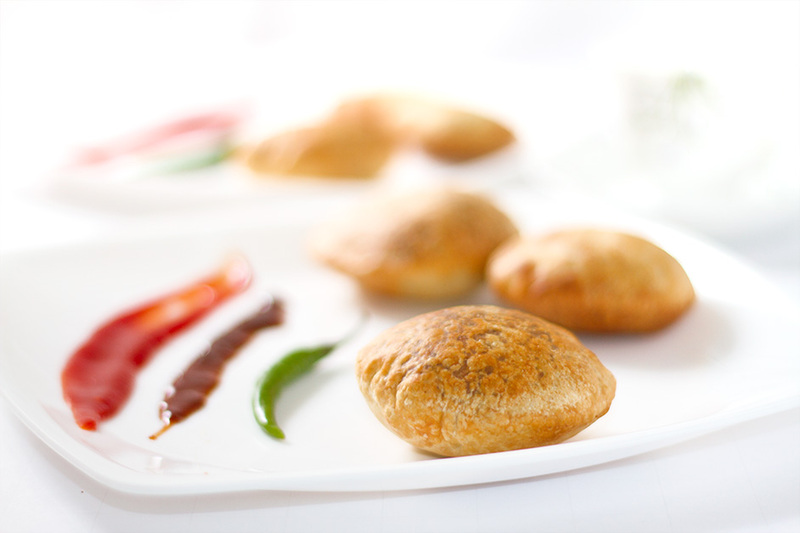 Khasta Kachori in Airfryer is the guilt free way of snacking on this flaky, crisp pastry filled with spiced filling. Traditionally deep fried, it is one of the most relished snack item in Northern India. It is called Khasta as the outer pastry is flaky and crisp. You can eat it with yoghurt and tamarind Chutney, or with tomato sauce, or a fried chilli or just pick one and bite into it as an accompaniment to your evening tea, a Kachori will always taste good. Since these are deep fried, I tended to make them sparingly. The challenge for me was to make this forever in demand at home item healthy to eat, and thanks to the Philips Airfryer, it became possible. There is one disadvantage of using the airfryer for making this item though. You can not store the prepared kachoris in an airtight container for long. They tend to get hard unlike the deep fried ones. Kachori is supposed to have originated in Uttar Pradesh or Rajasthan. In these states it is usually a round flattened ball made of fine flour filled with a stuffing of baked mixture of yellow moong dal or Urad Dal (crushed and washed horse beans), besan (crushed and washed gram flour), black pepper, red chili powder, salt and other spices. Additionally in Rajasthani cuisine, the Pyaaj Kachori (onion kachori) is very famous. Another form of Kachori which is famous in Rajasthan is the Mawa Kachori. It is a sweet dish which is dipped in sugar syrup. In Delhi it is often served as a chaat. Delhi is also known for another kind of Khasta kachori, called ‘Raj Kachori’. Add the ground dal to the pan, sprinkle garam masala and amchur powder along with salt. Roast the dal till the water content of the dal evaporates (keep stirring it continuously) and the dal gets completely cooked. Cool this cooked mixture and divide into equal portions. The dough is now ready to be used. Pinch and make equal sized balls. Roll out each portion of the dough ball into a 2" diameter circle. Place one portion of the filling mixture in the center of the rolled dough, close in and seal the ends securely. Keep checking the Kachoris and brushing them with oil every 3-4 minutes so that you don't over fry them. Serve the kachoris with chutney, tomato sauce or Dahi ke Aloo. Thank s for sharing. I just needed to understand, if the Kachori would puff up well in the air fryer ? Thanks for sharing this easy recipe. I am going to try it now.